Hope your getting “double time” as it’s a bank holiday Being a sewage diver at least I know how deep the 💩 will be at work today. No chance i'm afraid, i'm the boss! Have a good meeting everyone - not able to be there due to prior commitments - but will be there in spirit ! 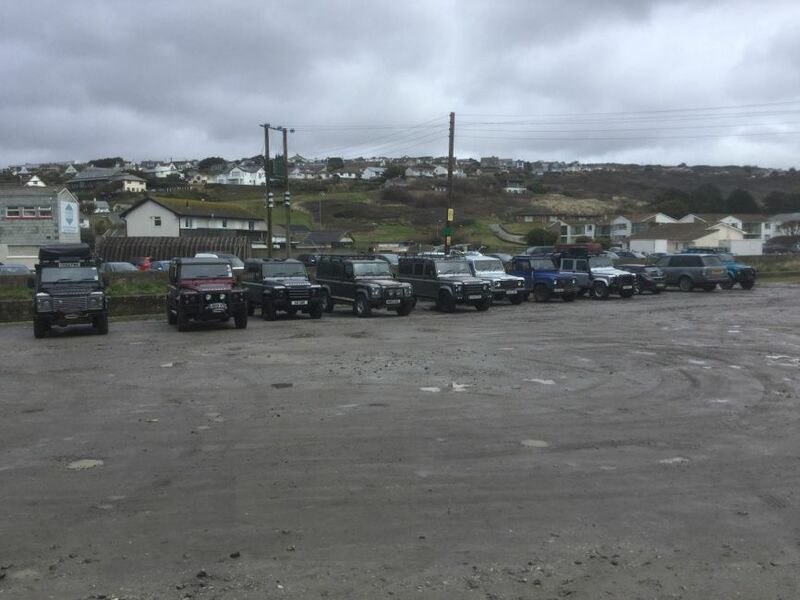 Re: Cornwall meet at Easter. Part two. So far have 20 members interested Have spoken with John who owns the fish and chip shop and have come up with Bank holiday Monday April 2nd as a date. Am thinking about meeting there bout 10.30ish, having a catchup and looking at all the Defenders, some fish and chips then perhaps a Defender convoy along the coast? My wife tells me I'm a"Land Rover geek", because I remember places and routes based on Land Rover landmarks (not recommended for navigating as some, though not all, Land Rovers move!!). When I read the first post I immediately thought "I wonder if that was the cool chippy in Mawgan Porth with all the Landy pictures and the nice Defender out back with a Maggi on the roof we saw on holiday last year". Great fish and chips and a lovely part of the world. Have a great day everyone! As it happens we're moving to Cornwall in the summer! Can't wait. I'll hope to join you guys for the next one of these if I can. Ugh, sorry guys and girls. Hopefully see you at the next one hope you get the flooding sorted ok. Being a sewage diver at least I know how deep the 💩 will be at work today. Great to see you all today, a very good turnout on such a miserable day. Click image to enlarge Being a sewage diver at least I know how deep the 💩 will be at work today. Yes please Being a sewage diver at least I know how deep the 💩 will be at work today. Ok first of a few more to follow .fab to meet everyone today ..